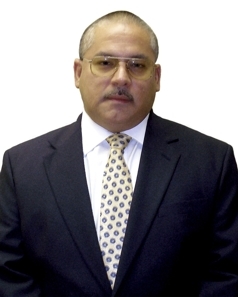 A technical specialist in law enforcement operations with experience dating back over 30 years, including distinguished roles in clandestine operations and academy instruction. An innovative leader, fostering public-private partnerships in addition to response partner collaboration. Direct management of closed circuit television, electronic surveillance operations, instillation and evaluation. Developed NKCBI’s Emergency Response Unit, a special capability available to our customers to provide a surge guard force upon request. As the Operations Section Chief, Bob is responsible for developing the tactical approach to each of our valued clients’ needs. In addition, his responsibilities include providing high level oversight to guard operations. In order to ensure the client’s needs are met, Bob ensures both operational support and contract compliance. Among his duties are managing the NKCBI Emergency Response Unit, a surge guard force available to customers with a simple phone call. 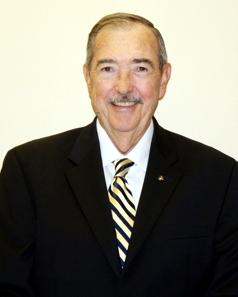 Bob has an extensive educational background in law enforcement, including at the Kansas State Police Academy and Bob has alsobeen involved with North Kansas City Bureau of Investigation, NKCBI International’s home town division since 1978. Bob has been involved in numerous law enforcement agencies and related activities, including the City and County Investigative Squad and drug investigations. NKCBI served as a private police force for the cities of Avondale and Randolph, Missouri, under Bob’s supervision. Under Bob’s management NKCBI transitioned into a full-service security company by introducing alarm installation, monitoring, access systems and CCTV installation. Bob is a long-time member of the Kansas City Fire and Burglary Association. 100 percent owner and operator of NKCBI International, a small, disadvantaged, woman-owned business. A motivated, experienced leader with nearly three decades of security administration experience. 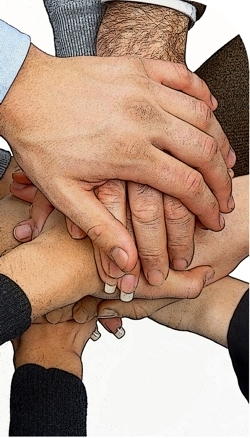 Committed to meeting the needs of a vast portfolio of over 500 clients. 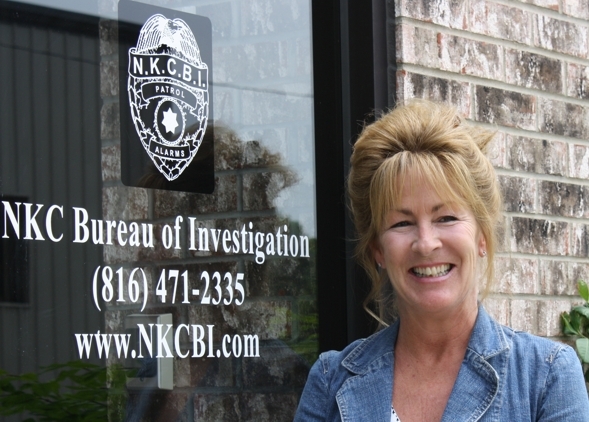 Under Linda’s leadership, NKCBI International has experienced 50 percent growth in just four years and has done so while maintaining a small-business, customer-based focus. As the Chief Executive Officer and Finance and Administration Section Chief for NKCBI International, Linda is responsible for the overall operation and execution of services provided to NKCBI’s vast portfolio of customers. Her experience includes nearly 30 years in the private security business, including 16 years in an administrative role. A native of the Kansas City area, Linda graduated from Hickman Mills High School and received medical training under a former chief administrator of the Children’s Mercy Hospital before joining NKCBI in 1984. Over the years, she served NKCBI as a sales representative, accounts payable and receivable manager and payroll consultant. In 1998, Linda and her husband Bob assumed 100% ownership of NKCBI, subsequently; Linda began NKCBI International in 2008 to continue to foster the company’s growth. Currently, Linda is responsible for the overall command of the organization, in addition to leading the finance and administration staff, and overseeing human resources, accounting and payroll. Under Linda’s leadership, NKCBI has grown its business by more than 50 percent in the last four years. Job Opportunity Break is an organization that provides scholarships to underprivileged students from the inner city to help them further their education after high school. As a founder and past chairman of the organization, Linda has had an integral role in developing its capacity to serve the community. Spofford Ozanam Services includes both the Spofford home for children and the Ozanam home for boys. Linda joined the organization’s Board of Directors on the recommendation of Kansas City Police Chief Larry Joiner. While serving in this capacity, she oversaw the organization’s management and finance division, chaired a fundraising committee, and assisted with special events planning. As a member of the Clay County Sheriff’s Advisory Council, Linda worked closely with Sheriff Bob Boydston, fostering community participation, response partnerships and collaborative models. Linda served as president of the Board of Directors of Oakhill Day School, overseeing management and finance, teaching staff, and recreational activities. Since 2002, Linda has volunteered regularly at the Veterans Administration Hospital. She is also a life member of the Ladies Auxiliary to the Veterans of Foreign Wars. 5+ years of security management experience. Diversified background with a comprehensive understanding of NKCBI. Customer-driven project manger, with over 50 accounts historically represented. 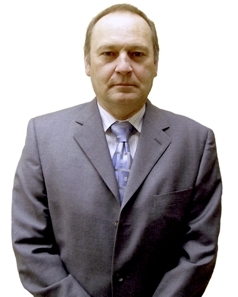 As Project Manager, Bobby has extensive knowledge of NKCBI International. During his employment with NKCBI he has worked his way up within the structure, which gives him a unique understanding of KNCBI’s operations. In his position as Program Manager, Bobby has fostered extraordinary growth in the number of accounts currently held by NKCBI, seeing a 50 percent increase in the overall size of the company. He has also been a leader in restructuring NKCBI to fit its growth and its international potential. His efforts have resulted in huge cost savings and massive gains in efficiency. Bobby’s educational background includes a Bachelor of Arts degree, specializing in political science and multiple international experiences, including study abroad in Guadalajara, Mexico. Bobby is a licensed private detective and has served as an employee of the Kansas City, Missouri, Police Department. 15+ years of security management experience. Extremely diversified background, with numerous law enforcement agencies. Customer driven sales manager, with a growth record of over 40 percent. As a part of NKCBI International, Joe is the sales manager responsible for increasing the monthly renewable income by a staggering 40 percent in the last two years. 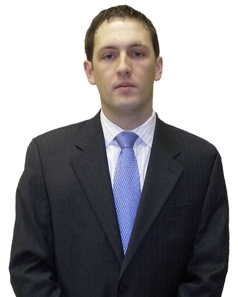 As the sales manager, Joe is also serves as one of our project managers and assistant for various initiatives. This redundancy creates a robust line of succession with in NKCBI International. Joe has worked for NKCBI for two years, but has a diverse background with other private security agencies. This background includes four years with Kansas City Patrol, LLC; three years with Midwest Patrol Services, Inc.; three years with WW Granger as a security officer; two years with the Kansas City Public School System as a patrolman; four years with Kansas City Patrol Services inc.; three years with Bank Midwest as a Loss Prevention Officer; three years with CCA Corrections INS as a Corrections Officer; and a tour of duty with the New York Police Department Hospital Police, Elmhurst Hospital, as a Police Officer. 30 years of Eperience in the U.S. Marine Corps, retiring as a Master Gunnery Sergeant. Extremely diversified background, with personnel management and sales and marketing. Associates Degree in Business Administration.